Need a healthy and hearty breakfast? This is an easy recipe that anyone Bachelor can master. 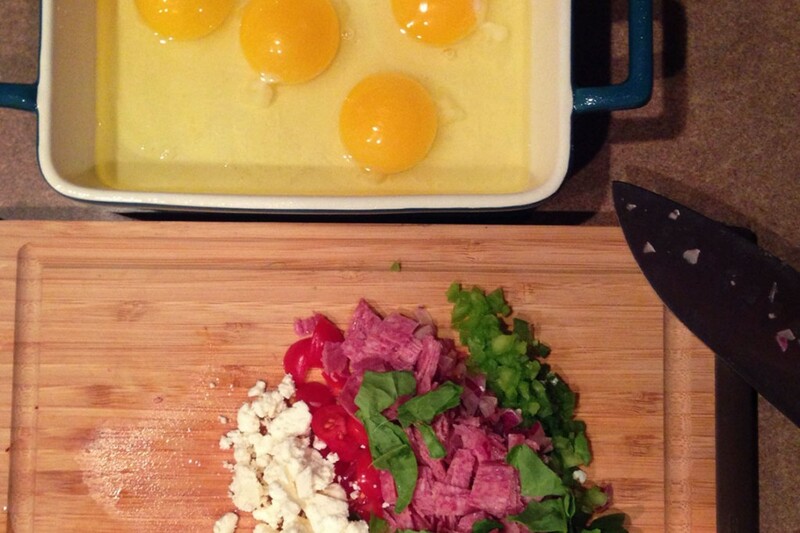 Pull up this recipe next time your girlfriend mentions the word “brunch”. This is the perfect example of a Bachelor Cooking meal that could win the hearts and stomachs of just about anyone. 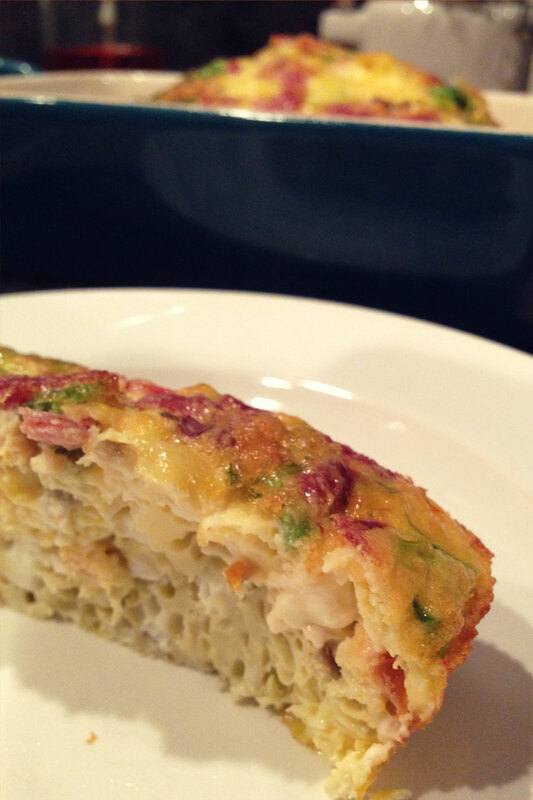 Mix all the ingredients together in a bowl (scramble the eggs) and pour into (small) baking dish. The egg is done cooking when it’s no longer got the consistency of jello. It should be firm (but not hard). 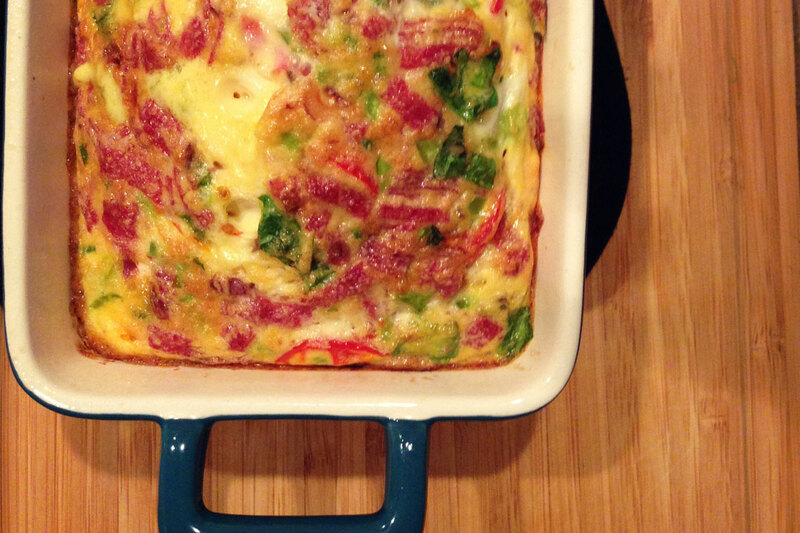 Poke the “Egg Bake” with a fork to test how done it is while it’s cooking. You don’t need a lot of veggies in this dish, a little goes a long way. Put as much meat as you’d like. This makes enough for 3 normal people (or 2 bros). Serve with some toast and OJ.